The great thing about most components in Joomla!, is that they usually come with their own CSS file, to allow you to customize the layout to match your site. 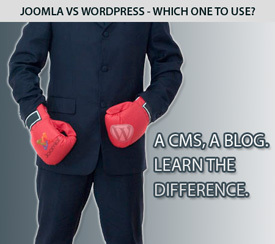 For example, Kunena, the most popular forum component for Joomla, allows you to use the default Joomla! section layouts, or their own custom CSS file. This lets you customize every aspect of your website layout, and even allows another feature that most webmasters overlook…… CSS overrides using the !important declaration. The !important declaration essentially allows a designer to override any inline, imported or later defined CSS declarations. As of recent, its most notable usage was for presenting alternate styles to different web browsers. However, all popular browser support the !important declaration, and when used properly, it’s a cool feature of CSS. Many designers will confess, that using the !important declaration as a means of continual design is probably not the best web design practice. Since we are going to learn how to use it as a feature and not a fix, it is completely acceptable. I’ve already convinced myself that I will continue to use this method on any CMS that is structured to present their header data in the same format as Joomla!, and I think you’ll like it too. Rearrange when the CSS file was inserted into the header. Make the front page of each component static on a daily basis using wget and cron, after manually writing a different layout. Use CSS overrides to allow the presented CSS in the custom file, to take precedence over the main site CSS files. Also locate the stylesheet call for your forums in the same manner. The !important declaration that we have put into our CSS overrides only the pages that use the specific component header. The great thing is that it is not just a cool CSS trick to apply to your logo. I also apply this method to override other CSS in my own site, such as removing borders from framed in content and changing paddings on different components. I’m sure there are lots of other applications where this can be useful. If you have any of your own to share, I’d love to hear about them.